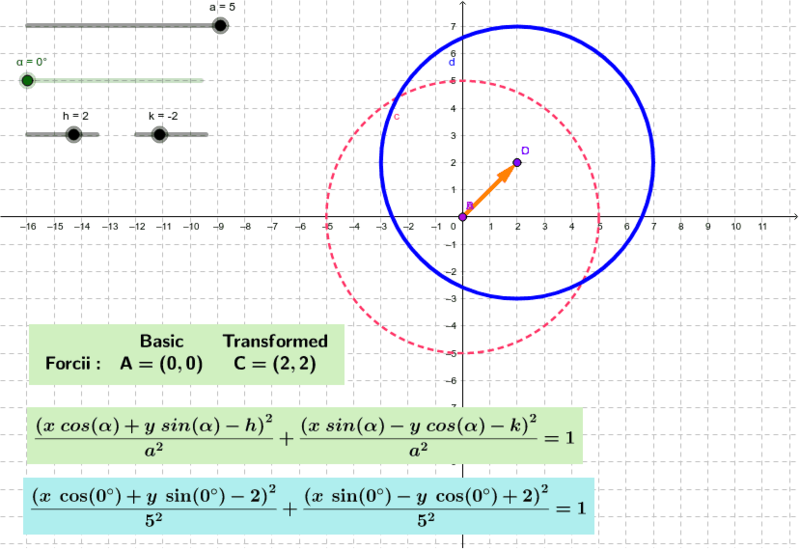 What are the setting ranges for a, b, and α to show a vertical circle? A horizontal circle? What settings changes are needed to set the rotation of the ellipse to 45°, 120°, 215°, or 330°? What settings create a circle? What settings create a point?